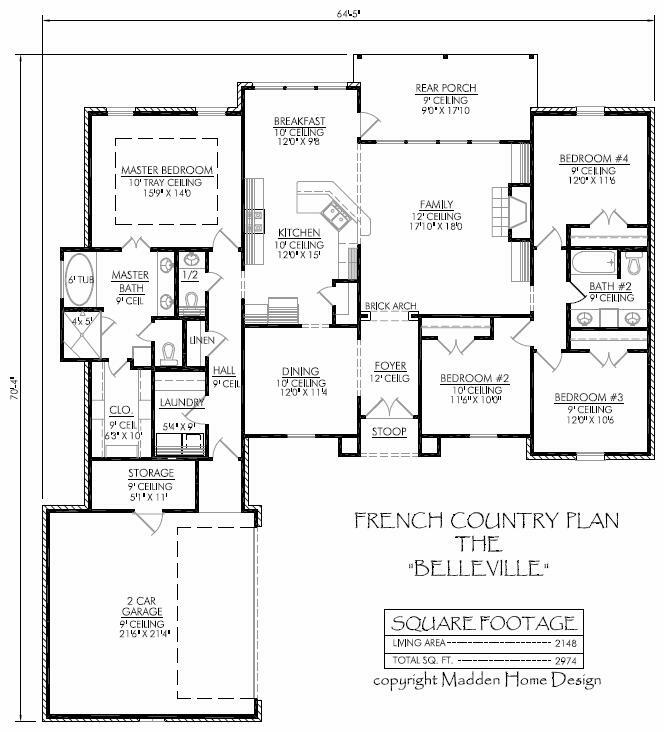 Main Roof pitch - 9 on 12 This French Country style floorplan features Open Floor plan with 4 bedrooms and 2 1/2 baths. 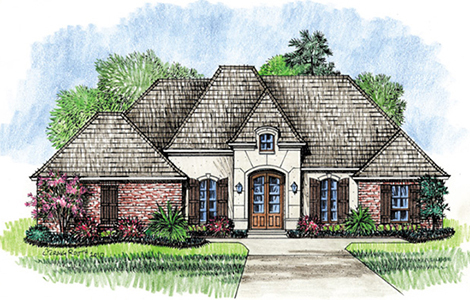 The views from the Kitchen, Family room and master bedroom are all great for a lake view. The master bath is large and spacious with an oversize custom shower.